Hillary Clinton has a talent and a propensity for toppling established systems of authority and leaving power vacuums in their place. This usually happens in places far-flung from the average American voter (such as Honduras, Libya, etc. ), but the chickens of Clinton’s chickenhawkishness are about to come home to roost for the Democratic Party. The Democrats can only send one message to the American people by nominating Hillary Clinton: that they would rather preserve the current system of pay-to-play politics than win the presidency. We all know that’s true, of course. But we also expect our professional politicians to do a better job of concealing their cupidity and corruption. This reasonable expectation of the electorate puts Hillary in a bind, since it’s difficult for one to conceal what one embodies. Every speech Clinton makes and every press stunt in which she participates is a dazzling display of disconnectedness from voters whose concerns she cannot fathom. From her perspective, however, it’s only fair to hold ordinary American citizens in contempt. If we commoners wanted to avoid economic hardships in our own lives, then we should have been more eager than Clinton was to trample on people weaker than ourselves. Those of us who didn’t seize the opportunity to profit from the school-to-prison pipeline or to advocate fracking in struggling economies all over the globe or to exploit worldwide sympathy for Haitians to line the pockets of our friends and family members—well, we only have ourselves to blame. If Hillary could really win a general election in November, then the Democratic party might be able to survive her nomination. But she can’t win an election because there are only two kinds of people who will vote for her: the misleaders and the misled. The misleadership class that supports Clinton consists of the people who are already on her payroll and others who seek to be on her payroll. Their motives are clear; their incentives are real; and their support of Clinton is perversely genuine inasmuch as they are championing the candidate who is most like themselves. Some of them work in politics; some work in churches; some work in the media; but they are united in their purpose of putting themselves as far ahead as possible by making sure the people whom they influence stay as far behind as possible. These folks will vote for Clinton, but there aren’t as many of them as Clinton likes to pretend. The class of the misled includes rank-and-file citizens who trust their local politicians, their local clergy, and the corporate media to tell them what is in their best interest. Such people are often overworked and underpaid. They are too busy and exhausted to pay close attention to national politics, and they may only have access to information via frequencies approved in advance by the Clinton machine. These folks will also vote for Clinton, but the existence of the internet means that the ranks of the misled are dwindling by the hour. The misleaders and the misled who support Clinton do not even constitute half of the Democratic Party—much less half of the general electorate. Clinton therefore has no realistic chance of winning. 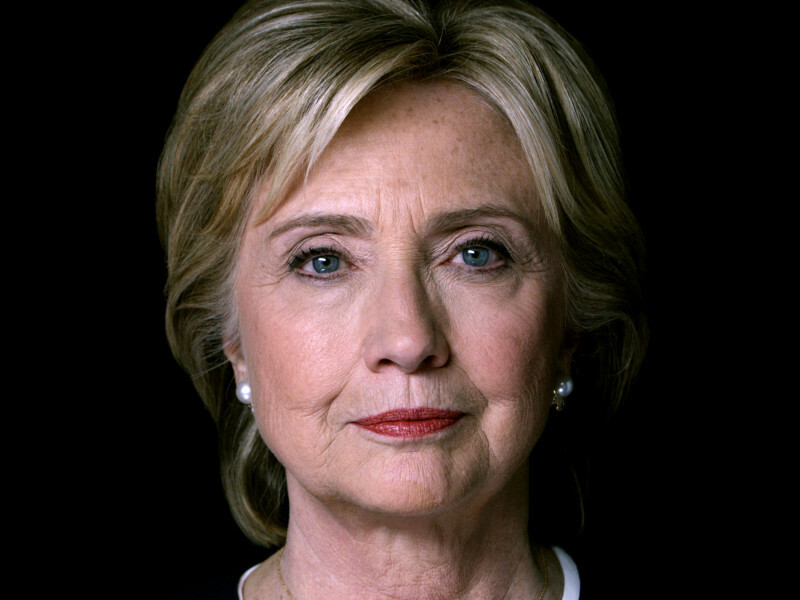 She has relied on the foil of Donald Trump to prop up the sputtering viability of her own candidacy, but as we watch the wheels falling off the Trump campaign, we must realize that Clinton is going to have to beat another actual politician with an actual ground game. She can’t do it. But as I indicated earlier, the elite members of the Democratic Party are determined to nominate her not because they believe she will win in November, but because they know that her Republican opponent (whoever that turns out to be) will pose less of a threat to their gravy train than Bernie Sanders does. I understand why the DNC leaders believe this strategy will work. They’ve seen how successful Clinton has been at destabilizing and disenfranchising people throughout the world by removing their leaders from power. Why should it surprise anyone that she’s willing to destabilize and disenfranchise the Democratic base by running as an unelectable candidate—a candidate who cynically relies on her own toxicity to prevent the people she purportedly represents from having a voice in government? But there’s a critical difference between cutting power off at the head and cutting it off at the base. If you remove the democratically elected leader of Honduras from power, Honduras doesn’t cease to exist. But if you remove the voting base from the Democratic party, all you have left is a train starving for gravy. So good luck, Paul Krugman. Good luck, Barney Frank. Good luck, Debbie Wasserman Schultz. Good luck, Queen Hillary. Good luck with your glorious future of presiding over nothing and no one.